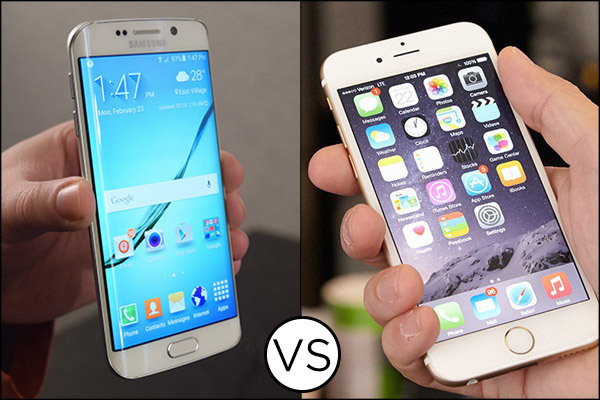 Ever since the release of the iPhone 6 series and the Samsung Galaxy S6 series, there has been series of test. Ranging from Gun shot test, speed test and more. Earlier before now, we had shared with you a boiling water test video of the iPhone 6 vs Samsung Galaxy S6 and here is a drop test video. A YouTube User by the name, David, decided to do a drop test video for the Samsung Galaxy S6 vs the iPhone 6 just like he had initially done for the iPhone 6 vs iPhone 6 plus few months back. This time, he decided to use a drop test machine instead of using his hands. Basically, the drop tests are done in other to prove which phone is more durable because in the use of mobile phones, there are bond to be accidental drops. The drop test sorta proves which which devices will last longer even during accidental drops. Starting with the Galaxy S6, it was dropped backwards and despite the fact that the device has got Gorilla Glass 4 on both front and back side of the device, the device had some cracks at the back side courtesy of the back drop test. The iPhone 6 on the other hand, doesn’t have a glass back. When dropped back wards, it had just some minor scratches and everything still works fine. When the Galaxy S6 was dropped side wards, the front screen wasn’t affected. It just subtained some few scratches at the button of the device. Nothing too serious except for the fact that the side drop added some more cracks to the backside which is expected. The iPhone 6 on the other hand, when dropped side wards, didn’t have any effect on the screen either except for some scratches at the down ward side of the phone. The Face drop test is more or less the interesting part of the drop test. The Samsung Galaxy s6 when dropped face down, had the face screen cracked although the device still works very well. The iPhone 6 when dropped face down, had more cracks than the Galaxy S6 although the display still works. If judging by the video, you would agree with me that the iPhone 6 has more weight than the Samsung Galaxy S6 and in terms of durability, i think I’d give it to the iPhone 6.